Our library number 40! Woohooo!! 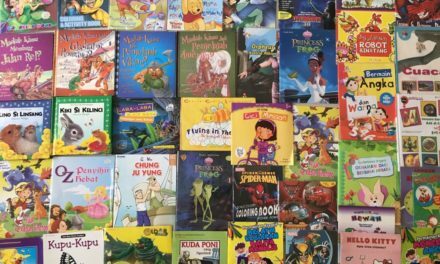 Located at SDN Sering, Sumbawa Besar, our 40th library looks very nice with its neat bookshelves and thousands of children books that are ready to be enjoyed by the students in that school. 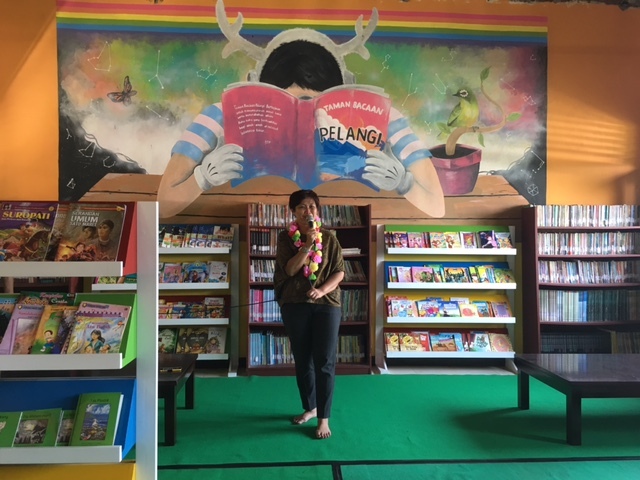 The library is also decorated with such big and beautiful paintings on its walls, a sign that Sumbawa Besar has a lot of talents in arts. Hopefully, one of the students in this school could also become a maestro in arts, one day! 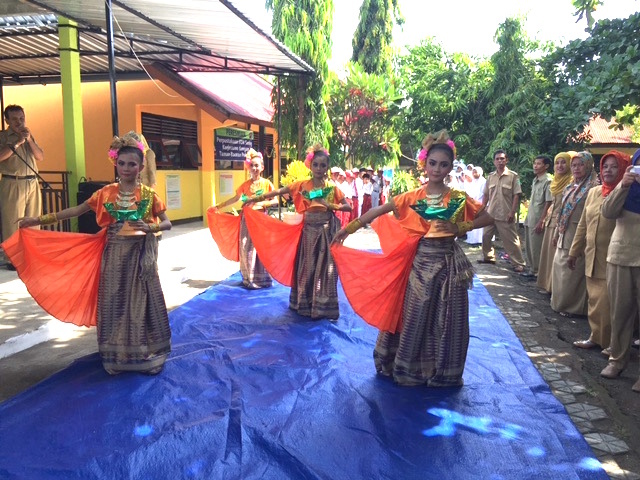 Our group is greeted by traditional dance performance from Sumbawa Besar, performed by the students of SDN Sering. They’re all dressed nicely with their traditional dance costume and beautiful make up. These girls were up early today, they had to be in the school at 5am! Wow! Thank you, girls!! It’s such a privileged to be able to witness a beautiful dance performance from Sumbawa Besar. Really. 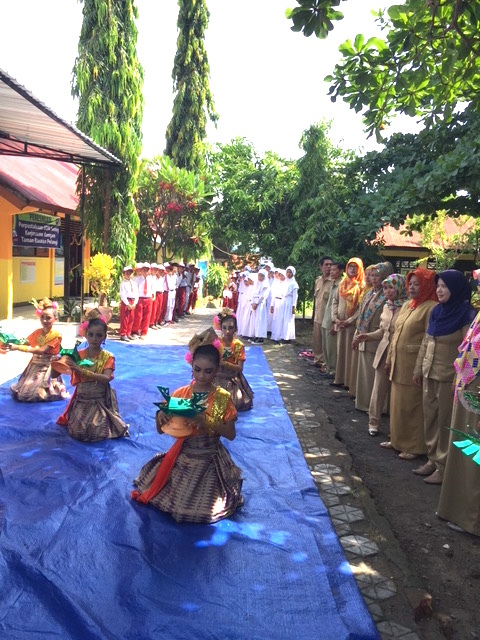 After the dance performance, the School Principal of SDN Sering, Bapak Sariffudin HAS gives an opening speech. 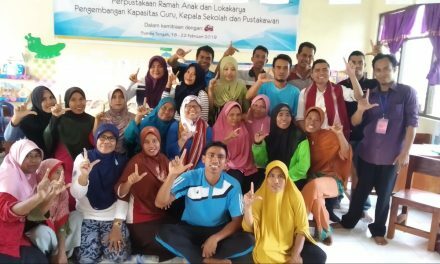 He expresses his gratitude for the partnership with Taman Bacaan Pelangi [Rainbow Reading Gardens] and the support from our donor, so the students in their school now have access to thousands of high quality children books that will broaden their mind and serves as a source of inspiration for them. He then asks us to walk to the library room to continue with the opening procession: cutting the ribbon! Yeayyy!! 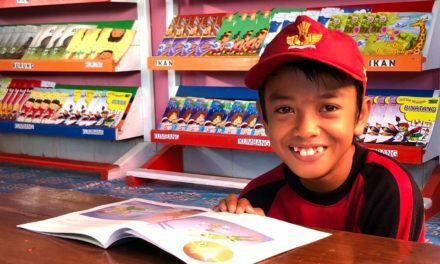 As this specific library is sponsored by Ibu Rita and Bp Wimbanu Widyatmoko, we ask them both to cut the ribbon to mark the opening of this new library! It’s an honor for all of us to have them there this morning, to celebrate this new library and share the love with the kids. 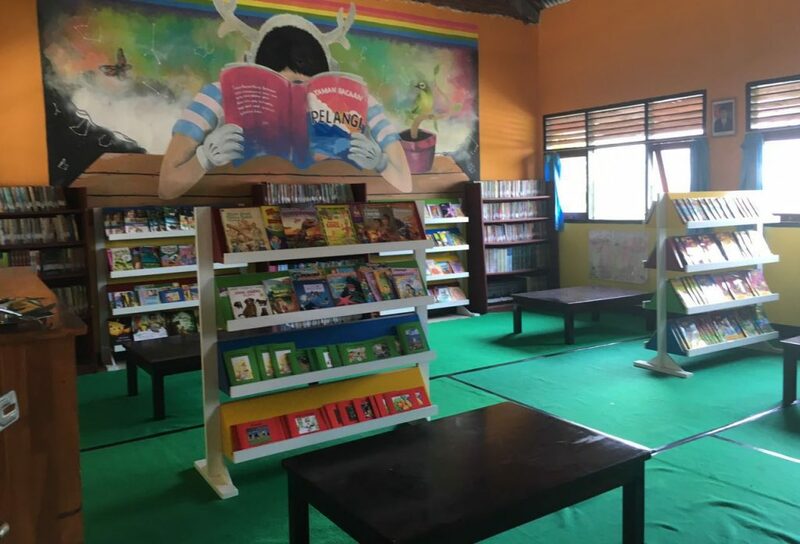 PreviousOur Newly Relocated Library in Sumbawa Besar!